ODOREZE Natural Waste Water Odor Removal Additive/Spray: 32 oz. Concentrate Makes 250 Gallons Summary Remove wastewater smell using the power of nature. 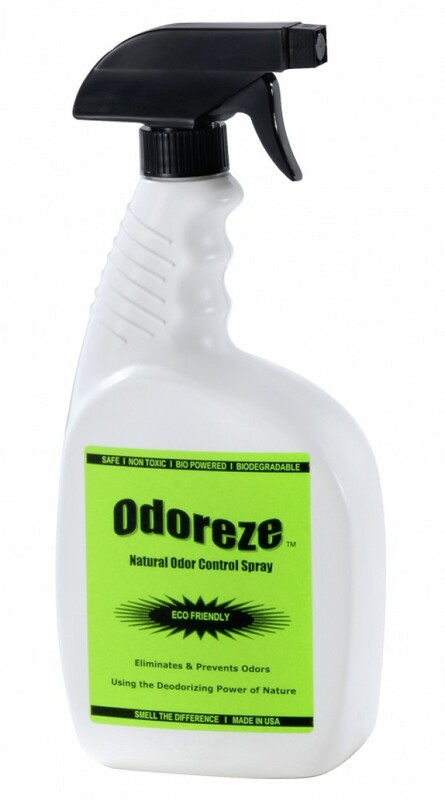 Odoreze™ Waste Water Odor Eliminator Spray will eliminate wastewater odor without harmful chemicals. This bio-based green concentrate deodorizer makes 125 gallons & really works! Sewer smell doesn't stand a chance! Features & Benefits • Removes waste water odors instead of masking them • Bio-based deodorizer made from natural ingredients • No carcinogens, phosphates or harmful chemicals • Biodegradable, non-toxic, eco-friendly & effective • Economical- only costs 45 cents/working gallon • Made in USA Get Rid Of Wastewater Odors & Make Your Neighbors Happy! Ammonia, hydrogen sulfide, amines and mercaptans are among the many smelly chemicals produced by anaerobic bacteria that you have to deal with at your treatment plant or related facility. 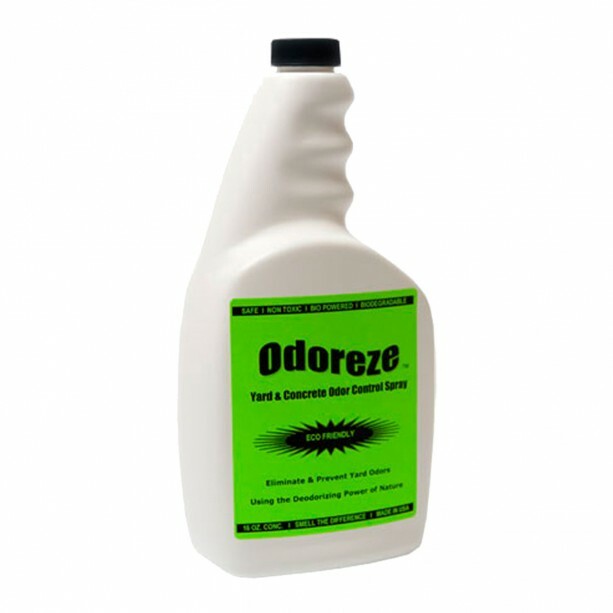 Rather than breathing these bad effluent odors every day and getting complaints from neighbors, eradicate them with Odoreze™ Eco Wastewater Odor Treatment Additive. Our biodegradable, non-toxic, eco-friendly product destroys wastewater odors safely instead of masking them to provide you with a much more pleasant-smelling facility to work in. To use, simply dilute our Odoreze™ deodorizer super-concentrate with water in the 1:100 to 1:1000 range depending on the severity of the smell and apply. 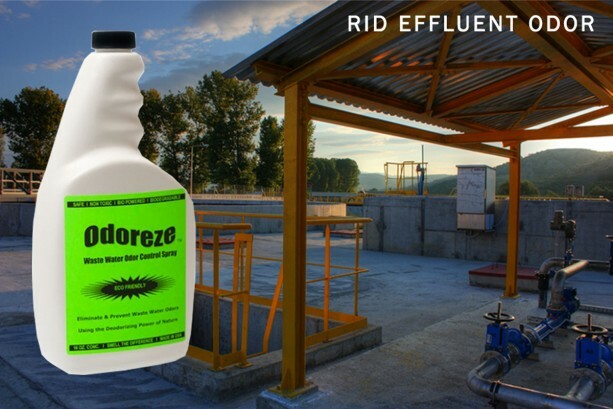 Odoreze™ can be used to remove effluent odors in sewers, lift stations, grit chambers, aeration chambers/ponds, final clarifiers, sludge thickeners, sludge dewatering or drying beds, and anaerobic sludge digesters. No matter where you use Odoreze™ in your waste water application, the result is always the same: elimination of the strongest wastewater smell! 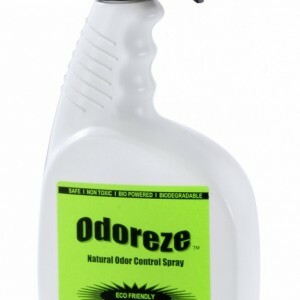 Odoreze™ works using a remarkable two step mechanism to deliver a 1-2 knock-out punch to waste water odors! Firstly, it starts by immediately attacking and neutralizing effluent smells. Secondly, this powerful eco-smart wastewater deodorizer controls malodors for days after applying by encouraging the growth of friendly odor destroying bacteria to produce long lasting results which continues to build up with repeated use. 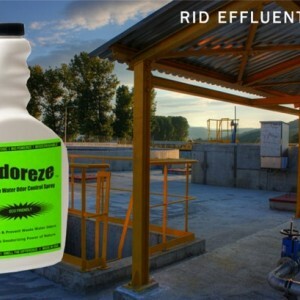 Odoreze™ Eco Wastewater Odor Treatment Additive is environmentally-friendly and safe to use. It’s ingredients are on the Generally Regarded as Safe (GRAS) list and was formulated without harsh synthetic chemicals and pollutants, including chlorine bleach, nonylphenols, carcinogens, dyes, ozone depleting substances, petroleum distillates, and silicates among others. It is made from all-natural, renewable resources to reduce your facility’s carbon footprint. Additionally, our product is non-flammable for your safety and convenience Banish waste water odors for good! Enjoy using our natural deodorizer and create a better environment to work and live in without the use of expensive harsh, eco-UNfriendly chemicals.